The reference letter joined to your CV is an asset in a search for employment. It is thus not rare only one employee who has been dismissed for lack of work asks you a letter of reference. 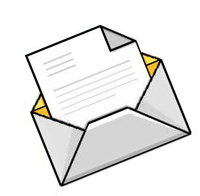 A reference letter must be somewhat personalized, but you will find bellow several hot lines. To give a hand, we also added some examples of letters to show you How to make a reference letter. 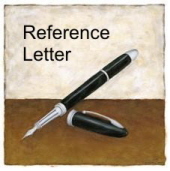 It is certain that the reference letter is much more useful for the employee than for the employer. But it also makes it possible to finish on a good note with an employee of which we appreciated work. First paragraph : You mention the name of the employee, the name of the company, the dates of beginning and end of employment as well as the title of the station. Second paragraph : You mention his qualities, his achievements, his responsibilities, in short a summary of these principal tasks which he made for the company for this period when he was with employment. Third paragraph : You write the formula of recommendation, and courtesy. It is important to know, when you write a reference letter, you can mention the name of the employee, the name of the company, the period of time for which the employee worked as well as the title of the station. On another side, when you are satisfied with an employee, it is easy to bring there positive comments in your letter. You can then mention his qualities, his achievements, his principal tasks, etc. When we are an employer, supervisor or director, and we directs a team, it happens that a subordinate who leaves incites us to write a reference letter in order to help him in his search for employment. We are very often powerless and there is no time to write a nice reference letter. You will find here several examples of reference letters for an employee who makes you the request of it. He will be able then to join your letter to his CV. We put different length and details of them, and varied the letters according to various type of employment.